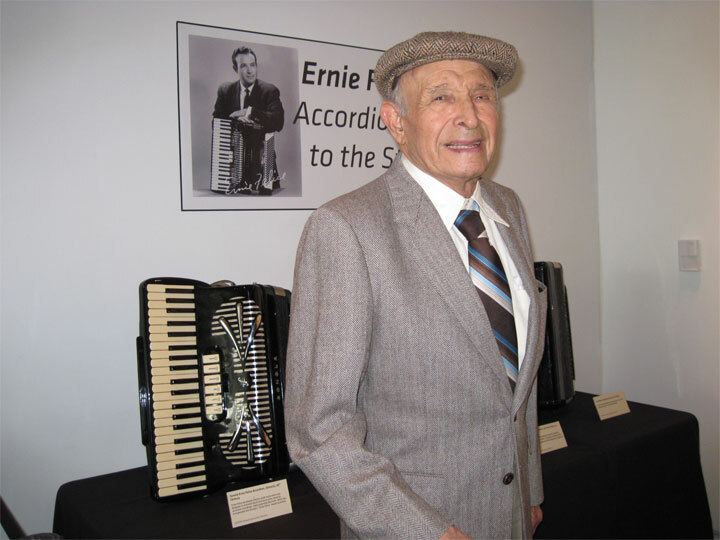 October 29, 2010: The Grammy Museum in Los Angeles honors Ernie Felice with a display honoring his accordion and his accordion music. 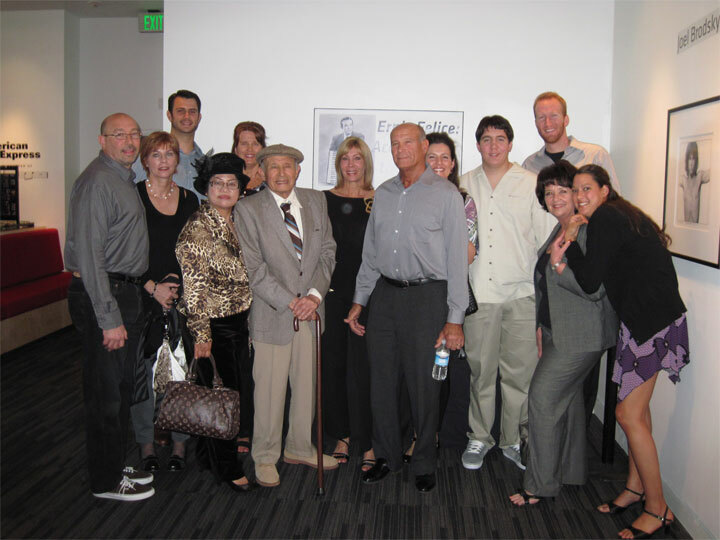 Ernie Felice and family members gather inside the Grammy Museum. A nice display entitled "Accordionist to the Stars". Dad in front of his display. He was thrilled! 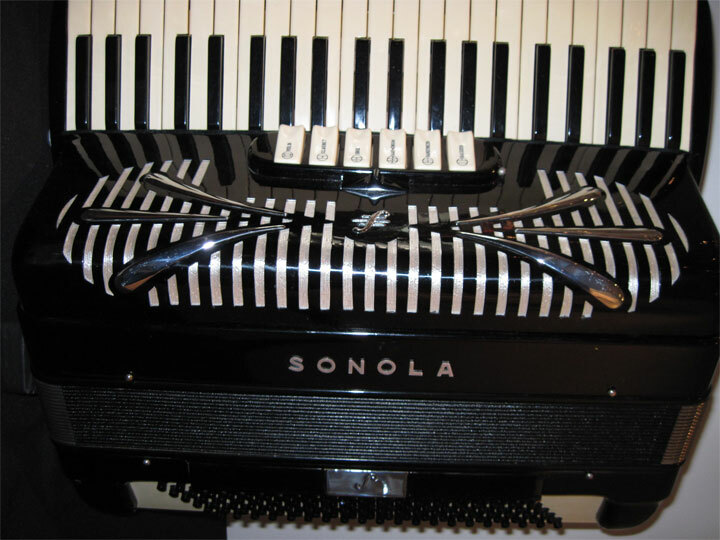 One of the two Sonola Accordions that dad donated to the Grammy Museum. Ernie Felice with family members. Below, photo of my sister Vickie and my dad at The Grammy Museum. Vickie is responsible for getting the Grammy Museum to acknowledge my dad's accomplishments and agree to display the accordions. Below, a photo of me (Dan) with my dad at The Grammy Museum. Short video of Ernie Felice at the Grammy Museum.